It gets to that point in our trip where exhaustion sets in, tempers run high, and homesickness rears its ugly head. It also didn’t help that today was one of the more walking-intensive days. 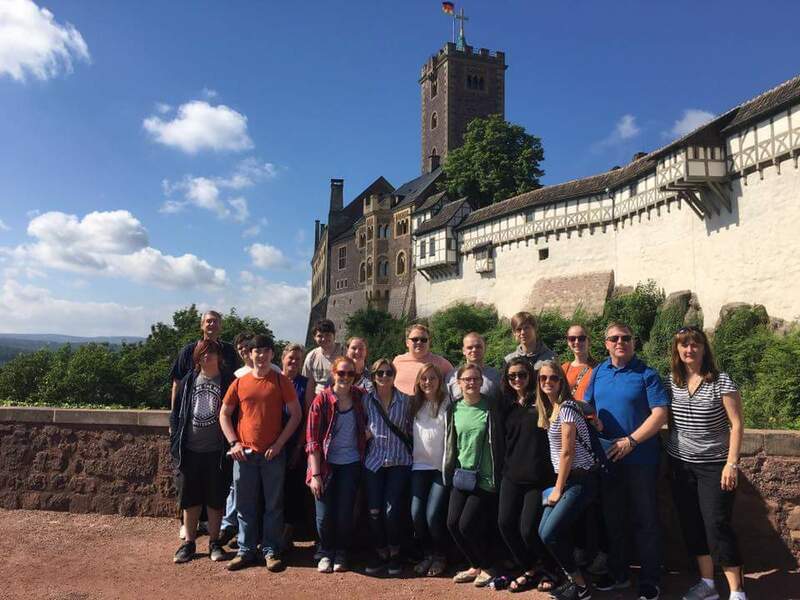 In our trek up to the elusive Wartburg Castle. We hiked about a half mile straight up the mountain to where the castle rested. The views were absolutely spectacular, the endless sea of evergreen, the cozy houses nestled in between – the picture of European village life. Yet, my knees were still not appeased. It wasn’t until we began the tour of the inside of the castle that I realized the importance of where I stood. 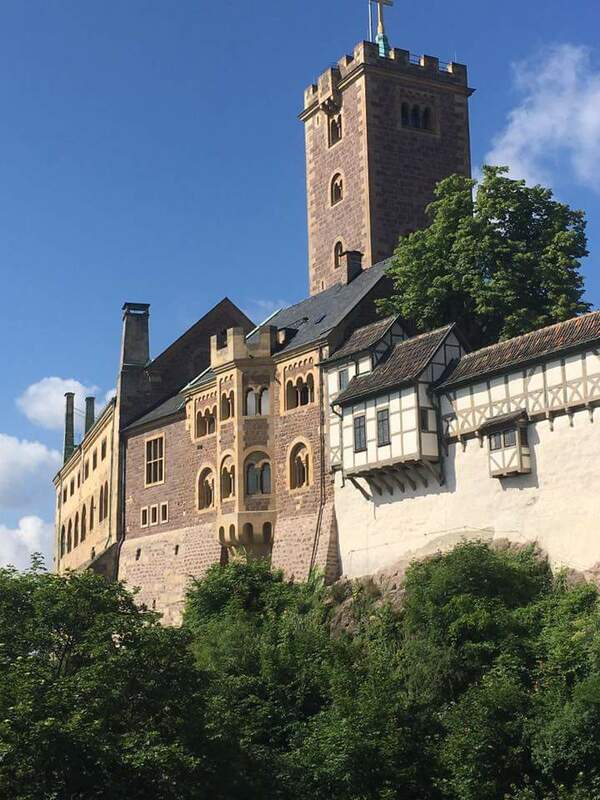 Wartburg Castle was founded in 1067 by Ludwig the Leaper whose epithet comes from that he was descended from a line in which their family name meant ‘to jump’. The castle was finished in 1180 and is probably the oldest surviving castle within Middle Europe. 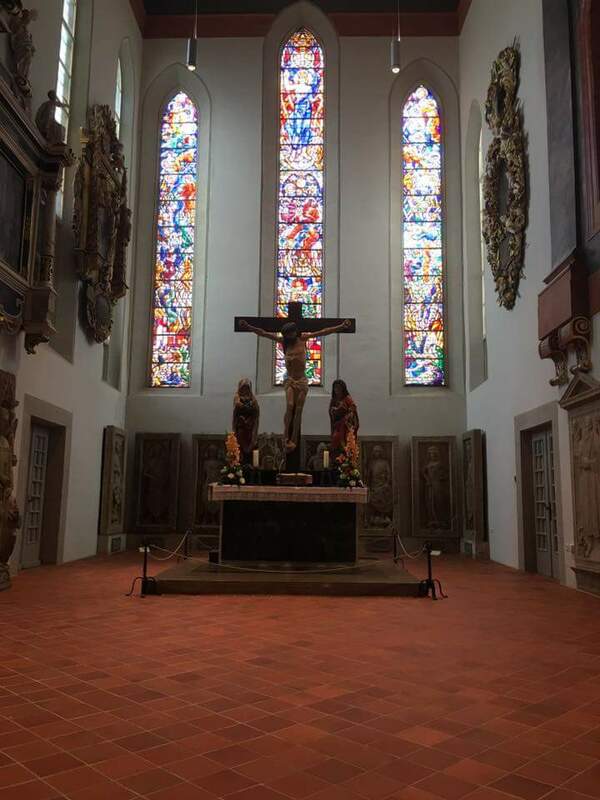 The tour guide said it reflected 900 years of positive history. One famous inhabitant was St. Elizabeth who came to the castle at the age of 14 in 1228. Elizabeth was an unconventional woman in that time for taking an immense interest in the community, caring for the poor and orphaned, and building hospitals. She is creduted with being a part of the first wave of the Reformation movement as Luther mentions her as his theological predecessor. Her sainthood is recognized by both the Catholic and Lutheran church. While the castle did not retain many of the original furnishings, it was done up so that it reflected the romanticized views of medieval times as perceived by those in the early 20th century. It was impressive to see the recreations as well as what remained of the original facade. Of course, Wartburg is where Luther hid after his excommunication and translated the New Testament into German. It took him 10 weeks to do so as he tried to connect 18 different dialects into one common language – in fact because of his translations, Luther is credited with helping form the current German language. 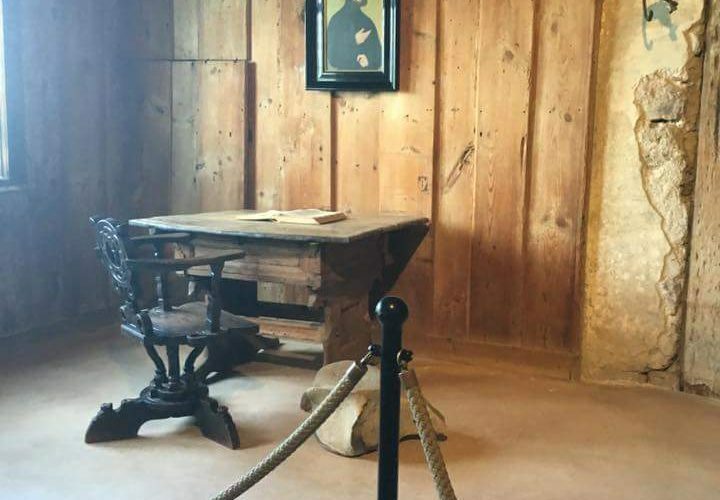 We are able to see the actual room where he did his translations. 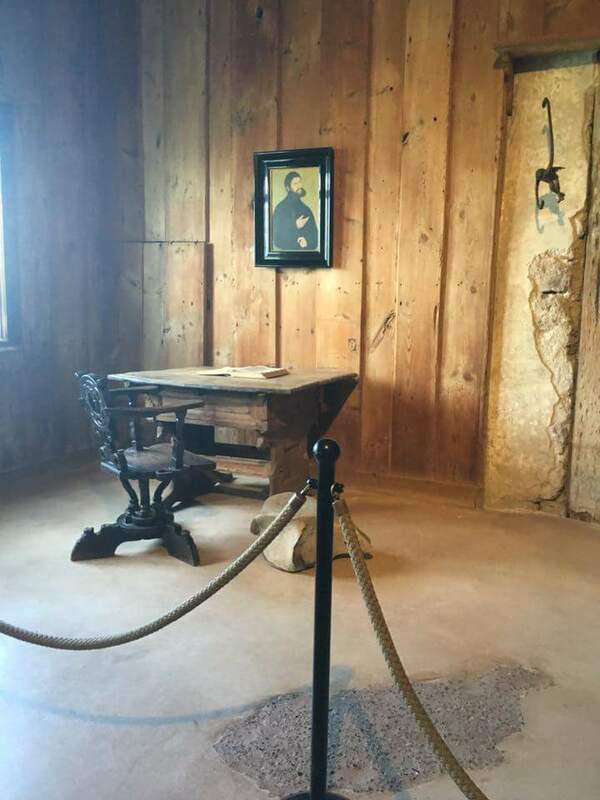 While the furnishings were not originally his, it was still a humbling moment to be in the room where Christianity was irrevocably changed. 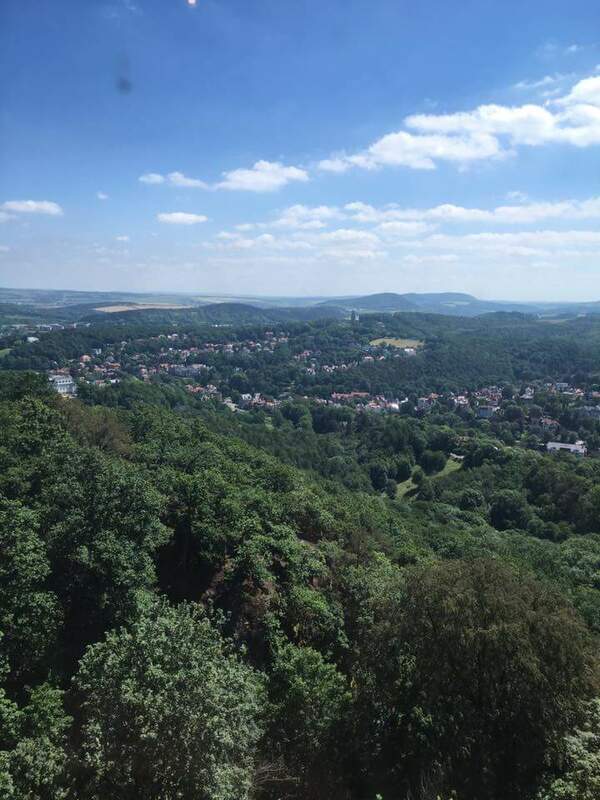 From Wartburg Castle, we ventured down into the town of Eisenach where Luther spent most of his adolescence studying. 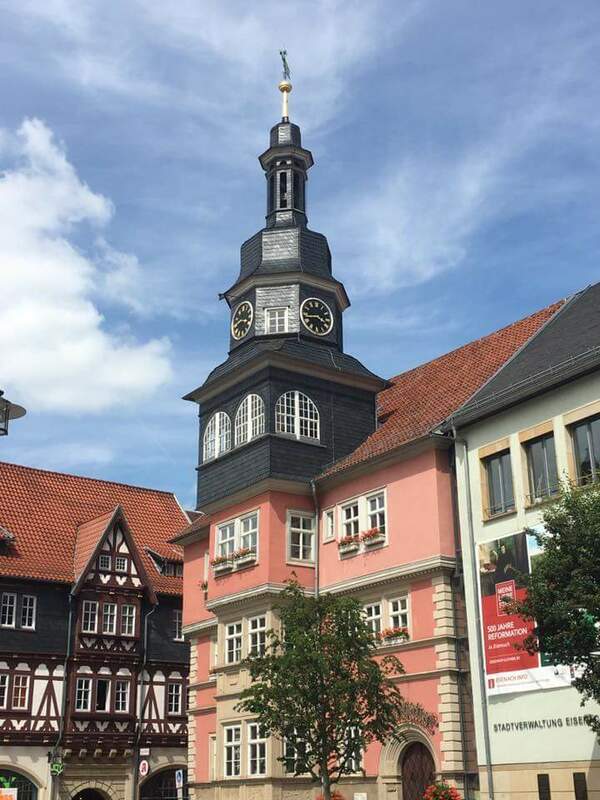 However, Eisenach is also the birthplace of Johannes Sebastian Bach. We visited the house of his birth where we not only learned more about his life, but were also treated to a concert of his pieces on instruments he would have used during that time. From there we walked to St. George’s Church where Bach would have learned to play the organ. 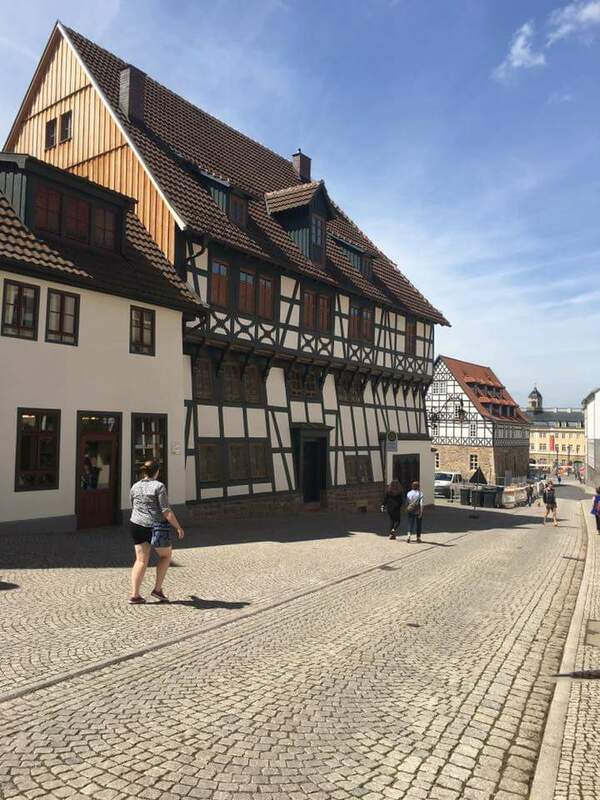 We were also able to spend some time looking around Eisenach and Erfurt when we came back to the hostel. It contiunally amazes me the the amount of history that is still living and breathing in Germany. Everywhere you look there seems to be something that dates back at least 200 years, if not 700. 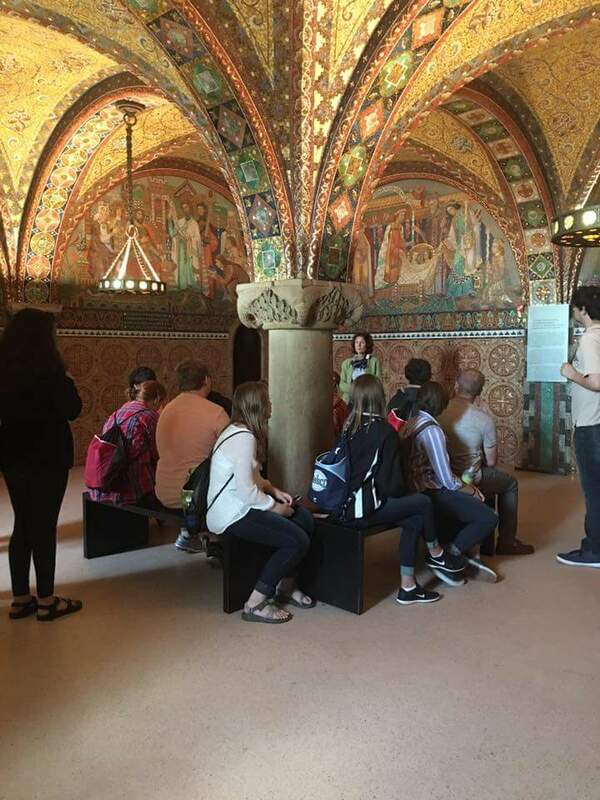 The tour guide constantly reminded us today of where we stood – the same ground as emperors and reformers, minstrels and knights, and it showed me once again how lucky we are to be here.